Looky looky what I got today. I was very surprised at the quality. The covers are super sturdy and the interior is superb. Much better than I anticipated. Not sure why I expected otherwise. I'll be keeping a few and distributing the rest. He might want to hang on to a few of those issues marked $2.99 because they will serve much the same purpose as the gold logos. Due to the vagaries of Ingram's discount structure, we have had to change the retail price to $3.00, which is why future issues, and future editions of the first issue, will not feature a price marked on the cover. That discount issue is, in part, what has caused the delay of orders made through Amazon, although I have been informed that it's also connected to a much bigger Amazon problem that has nothing to do with us or Ingram. So, at least until they get that straightened out, I would recommend ordering Arkhaven comics through the Castalia Books Direct store. They certainly look good, though! As for the sturdiness of the covers, they are not the flimsy coated gloss paper used for normal comics, but are the same rigid construction of a normal trade paperback. If you've received your print editions already, please feel free to share your thoughts on the manufacturing and print quality here. I'm still waiting for mine. I work in the river industry, so it's always funny to see Ingram in a non-river industry situation; even though I know it is one of their smaller operations. "I work in the river industry, so it's always funny to see Ingram in a non-river industry situation; even though I know it is one of their smaller operations." you have to remember they are very close to a vertical monopoly. like International Paper they own the land that grows the trees that becomes the paper and so forth. How are you ever going to compete with the powerful monopoly of DIAMOND? Well, we're going to bring a friend who could buy Diamond with their lunch money. The fascinating thing is that even our move into translations looks to be paying dividends already... and I just got the first French translation this morning. "How are you ever going to compete with the powerful monopoly of DIAMOND?" amen. 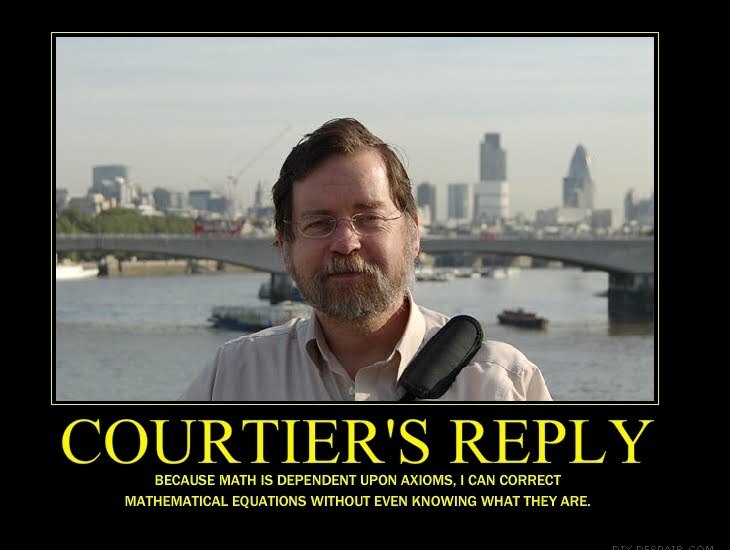 Ingram's CFO is married to DrWho's first cousin. During med school DrWho stayed in their quest suite for couple months. good folks. fascinating company. Excellent news. I'm not going to be in the market for any print editions, but I know some folks love them. It looks like I may be able to maintain a Kindle Unlimited subscription for a while though, so that will allow me to read the Arkhaven and DLC books and give Castalia House some money. > Well, we're going to bring a friend who could buy Diamond with their lunch money. As Glenn Reynolds would say, heh. The relative scale of some companies is lost on folks. A quick Google search shows Diamond has revenues of $500M. Not bad, but strictly a small cap to mid cap company. Ingram revenues? Forbes says $2.2B. The biggest? Walmart, with revenues of $482B. Note, this is revenues, not profit or market cap. > ...good folks. fascinating company. Since working for Murray energy I've had the chance to meet Robert Murray a few times. I'd say the same of him. A quick Google search shows Diamond has revenues of $500M. I believe Diamond is closer to $150M. Your figures are probably more accurate than those Google provides, Vox. I just gave what I found with some quick searching for folks to compare. When are the first issues of Avalon and Alt-Hero coming out? Awaiting the signal to contact my local CBS. I prefer this - to look the vendor in the eye as I purchase these books. End of this month, early April. AH001 first. Would it be beneficial to ask brick-and-mortar comic stores about your comics, to try to buy through them? I think I ordered QM and Jeeves, but the CH store kind of spazzed at the confirm purchase point. So we will see. Not yet. They don't have Ingram accounts like regular bookstores do. I'll let you know when it's time in about two months. Nothing like the taste of French translation in the morning. The collapse of Diamond cannot come soon enough. 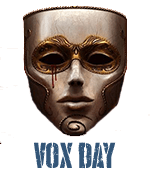 All hail Vox "The Batman" Day. The quality surprised me when I recieved Q.M. yesterday in the mail. Great start for a company's first comic book. Marvel has poor quality comic book paper. Arkhaven is changing the game by upping the quality for a low price. Low cost/high reward for the consumer and an excellent product building up Arkhaven's reputation. I will be buying more from Arkhaven. Alt Hero will be giving ECT to the comic book world. Hey Vox do you have anything in the works for "Free comic book day" on the first Saturday of May? If not, I will probably buy 10 copies of AH #1 to be given out at my local comic shop. Perhaps we can agree to match people's orders. Buy X from the Castalia Direct store for free comics day and we'll ship you X more, so long as you give all of them except one away at your local comics store. If that's of potential interest, let me know and I'll look into the numbers to see if we can do that. I might be able to arrange for free shipping for everyone doing that. Just cancelled my order for Right Ho Jeeves #1 on Amazon and ordered anew through Castalia Books Direct. Added in the Keen Econ comic and David the Good's garden trilogy for good measure. We're still under snow, but I can dream. Now I live in a small town far from any comic stores, but here, free comics day is a library event, and ost of the free comics given away are 8 or 16-page samples, produced specifically for the event. I've picked up full issues on FCBD but they were reprints of old stuff. I just figured it would be a "foot in the door". New comer to the scene gives out first issue free and it's a full issue could be good press. Even if if I'm paying for the issues to be distributed, they don't have to know about it. Also, a little more gorilla marketing for you folks with big box store bookstores, I'm thinking of one the begins with B and ends with an N. I used to work at my local one about 5 years ago. I worked in every department. Mine has a HUGE magazine wall running the length of the store. They had to use several people on different shifts to organize it each day. No one ever new everything that came in and only knew to switch out an issue because a new one came in to replace it. What I'm suggesting is just slip 3 to 5 into the comic book section. No one would notice until someone went to buy an issue. Even then they would just ring it up for the price printed on the issue. With the company firing 1,800 people recently nation wide they are left with part timers who give no shits, I guarantee it. They will not be wondering if that comic belongs there or not. We just got Right Ho, Jeeves, QM1, eCONcomics1, and a couple of the paperback books from the CH store. Easy process, quick shipping, and the quality of the work is excellent. I mean, I already have lots of PB and HC books, so that was no surprise, but the comics are of the highest quality. when is rebel dead revenge going to be available in print !